The Arte Povera movement (it. 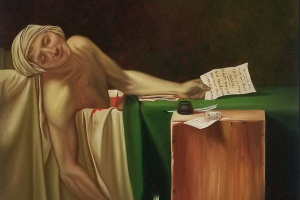 "poor art") originated in Italy in the 1960s. 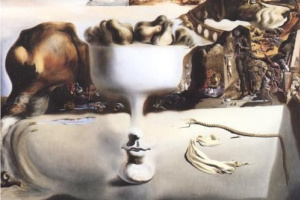 It only lasted for a few years, but it was enough to become the most notable artistic course of the post-war Europe. Arte Povera artists brought new methods and materials to the space of museums and galleries, combining the natural and symbolic, sensual and conceptual objects in their sculptures and installations. From the related art movements — minimalism, conceptualism and pop art — it can be distinguished by its attention to the primary interaction between man and the world of things, the aesthetics of natural elements and hand-crafted labour. The name "poor art" was proposed by the curator and critic Germano Celant in 1967. That year, he organized the exhibition "Arte Povera — Im Spazio" (Arte Povera — in Space). 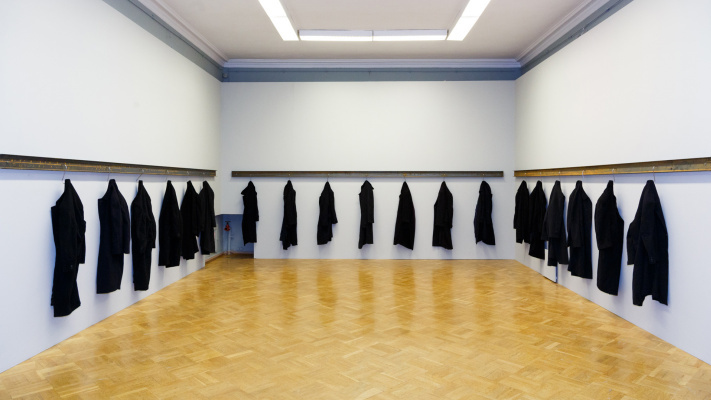 The main representatives of the direction took part in it: Jannis Kounellis, Michelangelo Pistoletto, Giovanni Anselmo, Giulio Paolini, Giuseppe Penone, Mario Merz, joined by about a dozen young Italian artists. Many of them worked with simple and rough materials like sackcloth, coal, bedsheets, ground, water, cotton, steel rods, wood and newspapers. However, the word "poverty" in the art direction title should not be understood literally. The artists tried to achieve a poetic effect in the simplest ways, to break through to the essence of aesthetic experience, to free the audience’s experience from pre-defined concepts and ideologies. 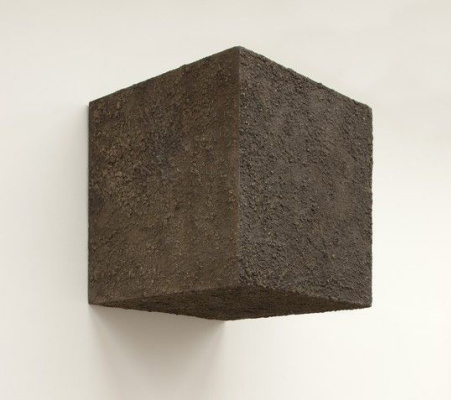 The Arte Povera movement crystallized against the backdrop of political protests in the 1960s. Its participants shared the anti-capitalist sentiments of the era, but did not adhere to any party or group and remained entirely in the territory of aesthetics. In the postwar years, Italy quickly turned from an agrarian country into a developed industrial state, the symbol of which was the FIAT 500. Conveyor production, mass consumer goods, fashion industry — all these benefits of the modern world poured into the peninsula. But the economic miracle did not save the country from social inequality, archaic laws and a backward educational system. The end of the 1960s was the time of workers' and student protests, which were even more fierce here than in neighboring France. The minimalist Donald Judd made his cubes of cold plastic and metal, while Pino Pascali created them of the pressed earth. The canvases of abstract expressionism representatives were hermetic, self-contained messages, while Giulio Paolini stripped his works to the canvas and the stretcher, showing the "man-madeness" of the picture, revealing its material basis. 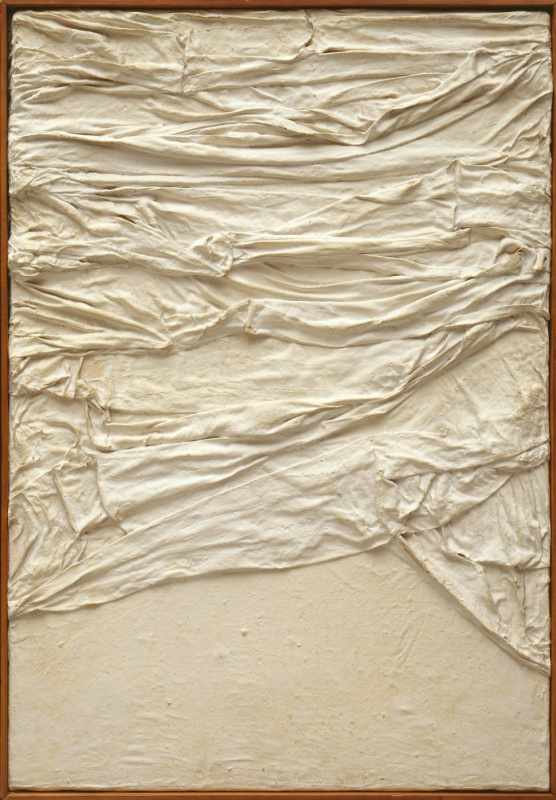 The main predecessors of Arte Povera were such notable figures of the Italian art as Piero Manzoni, Lucio Fontana and Alberto Burri. 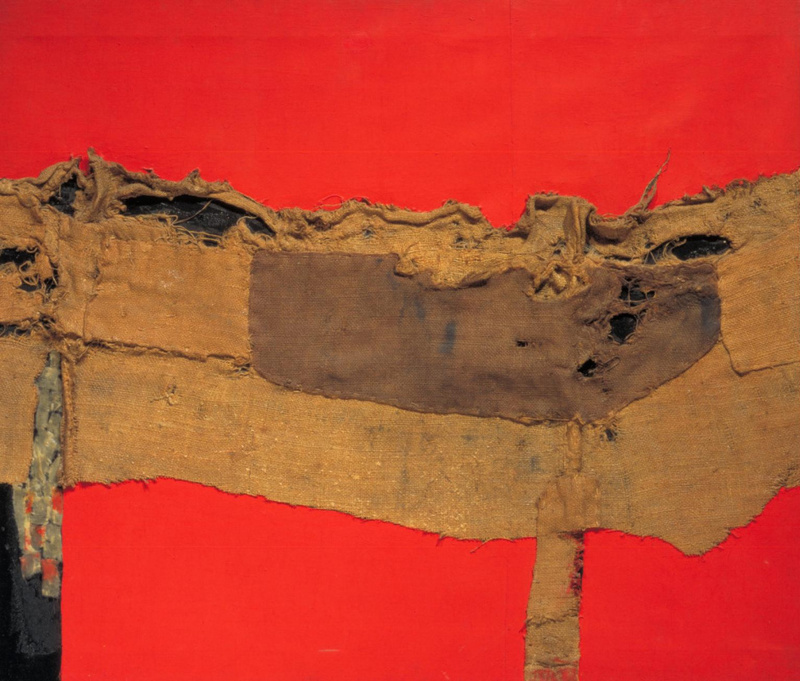 Burri already used sackcloth, metal sheets, sand, wood and other rough, untreated materials in his paintings in the 1950s. 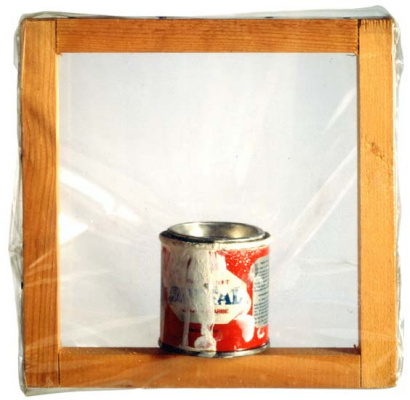 Manzoni permeated canvases with clay, combining painting and sculpture in one piece, and also used food, his own blood, breath and excrement as a material. 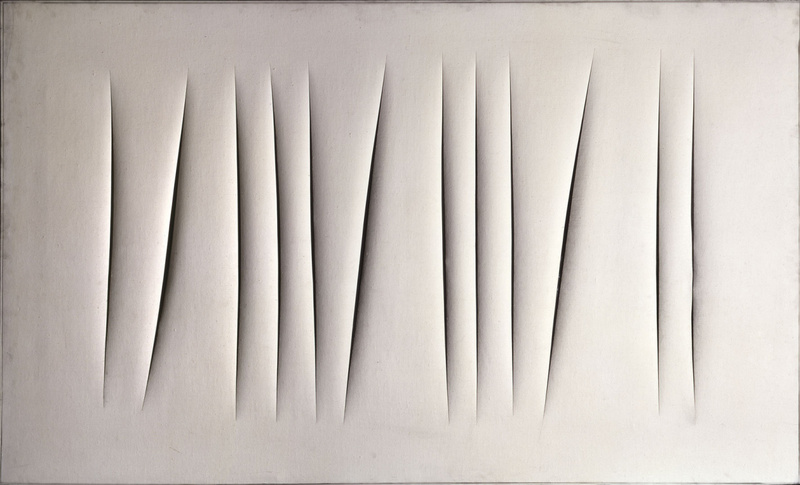 Lucio Fontana cut the canvases with a knife, reducing the creative act to a minimal basis. His famous cuts not only destroy the plane of the picture and open it to meet the world around him, but also show that the basis of the creativity is the simplest material process, i.e. the artist’s gesture. 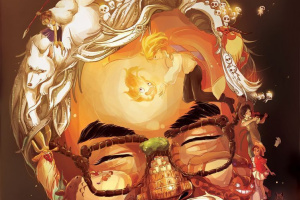 The artworks by artists of the new generation turned out to be as much revolutionary. When a young curator from Genoa Germano Celant used the name Arte Povera for the first time, the main core of the movement was already formed. 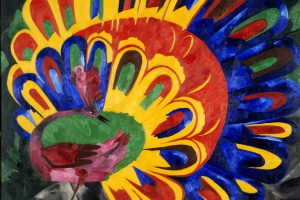 They did not have a common style or leader, but they moved in the same direction, although in different ways: like the earlier representatives of the artistic avant-garde, they tried to break the border between life and art. And the word "life" here must be understood from the phenomenological point of view, as a process of perception, the flow of primary sensory sensations. Soon after the first general exhibitions, Germano Celant published an article that could be considered a manifesto of a new artistic trend: "Arte Povera: notes for a guerrilla war". Although the movement preserved the Italian roots to the end, Celant gave it an international significance. In 1969, his book "Arte Povera" was published in English and French, major exhibitions of the movement were held in London, Amsterdam and New York. 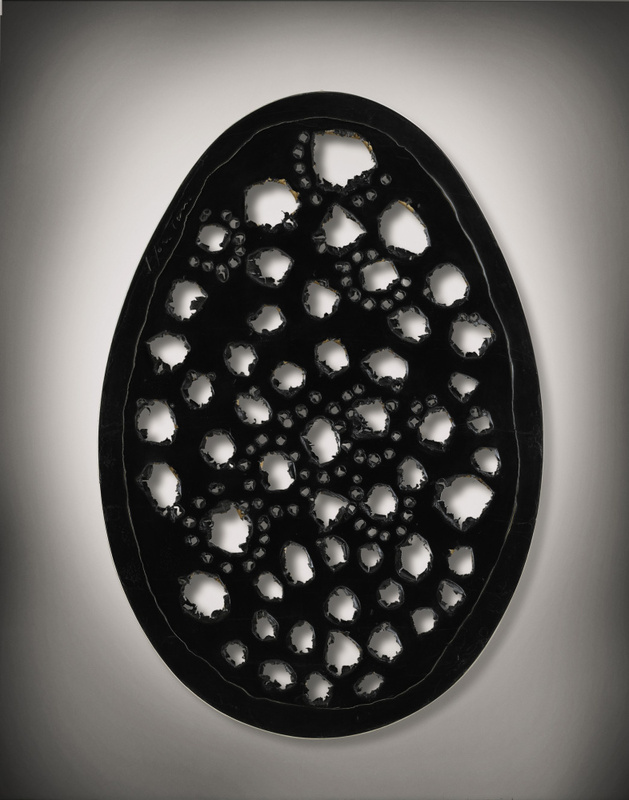 Within a few years, Arta Povera ceased to exist as a single artistic movement. However, its main principles continue to live and develop in the works of individual artists until now. We remind you of the exhibition "Arta Povera: Creative Breakthrough", held in the State Hermitage till mid-August 2018. 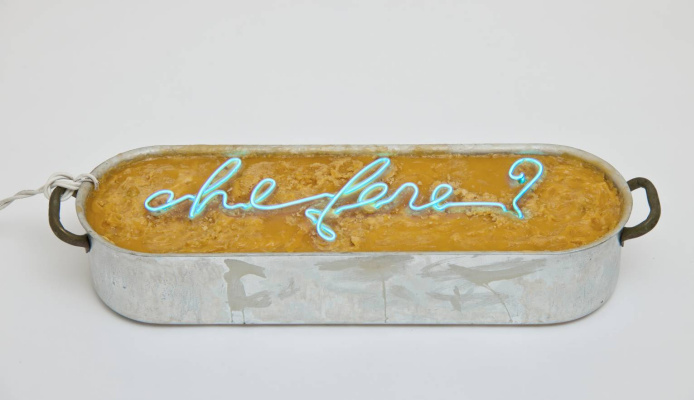 The works of Arte Povera imply the interaction of the natural and artificial, sensual and conceptual. 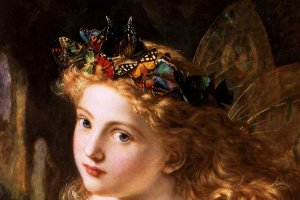 Many artists used and developed their own techniques for a long time, which made their work recognizable. Michelangelo Pistoletto created canvases of mirrors and inserted full size photo-images in them: reflected in the mirror, the viewer becomes a part of the work. He is also the creator of the most famous work of Arte Povera, the statue of Venus Callipyge, which stands with its back to the viewer in front of a pile of underwear. Here, one can guess both the reference to the ancient heritage and the ironic attitude to modern mass culture flirting with pop art at the same time. Alighiero Boetti made a series of political world maps, in which the territory of each country is colored in the colors of its flag. The maps were embroidered by Afghan masters by his order. Boetti himself only produced the concept, but not the product: this is speculative creativity, which, nevertheless, has traces of materiality and careful handwork. The favourite form of Mario Merz was igloo, the simplest dwelling, a symbol of the heavenly dome and the globe, home space and the life of a nomad. Merz created his own igloos of different materials — glass, stone, clay, wood, added neon lamps and inscriptions to the construction. 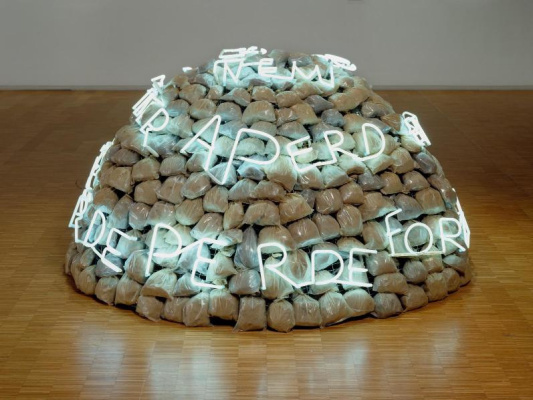 Word and numbers for Mario Merz were just the same material as the others. The inscription "What to do?" in an aluminum can, filled with wax, gradually heats up and softens the contents of the container: the combination of the material and the symbolic. 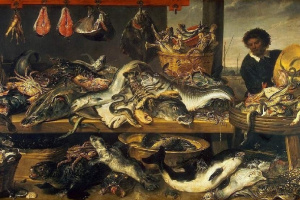 Jan Cunellis used coal, coffee, legumes, plants, live people and animals in his installations. At one of the first exhibitions of Arta Povera, he brought twelve horses to the gallery and placed them for three days in the exhibition space. 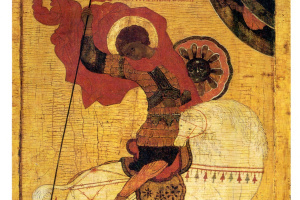 Horse is at the same time one of the main characters of classic canvases and sculptures, and a living being of flesh and blood. The artist is interested in both of these dimensions. 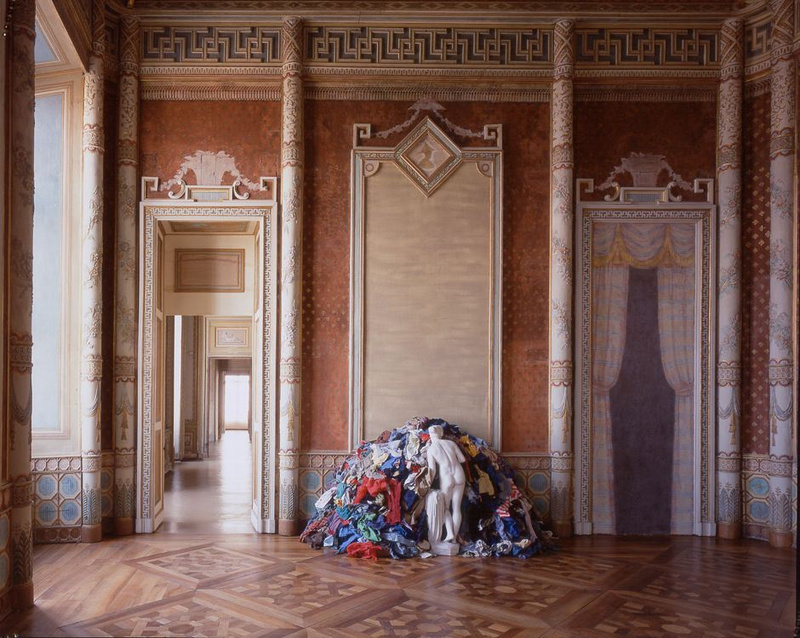 Unlike minimalists and pop artist, Arte Povera artists continued to conduct a dialogue with the past — first of all, with the heritage of antiquity and the Baroque era. But at the same time, they turned to the primary physical forces and material processes. So, Pier Paolo Calzolari used cooling installations in his installations: he used frost painting, which you can not only see but also feel. 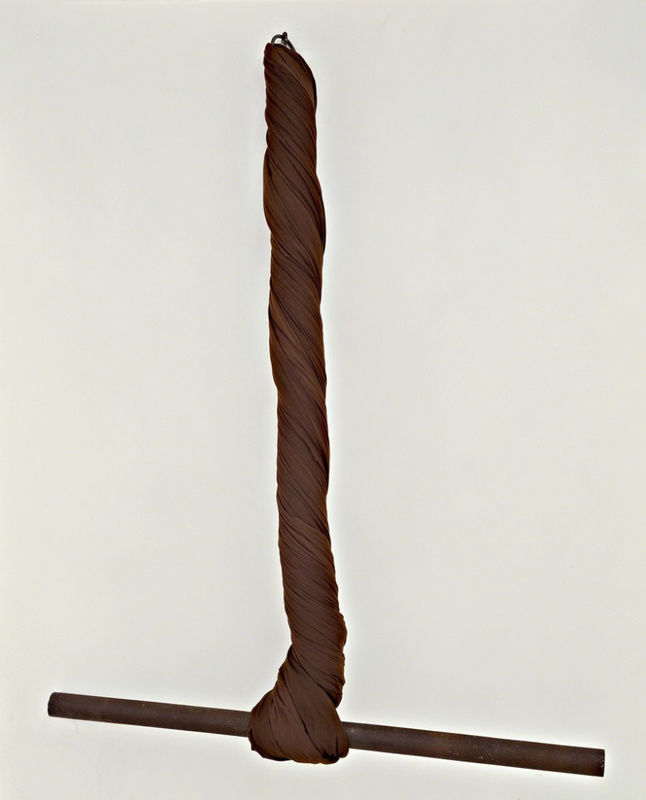 Torsione by Giovanni Anselmo — a twisted stripe of cloth, restrained by a metal rod, resting on the wall. This minimalistic sculpture hints baroque draperies, and materializes pure physical energy. Anselmo likes to hang stones on the walls of art galleries, as if showing the spectator restrained gravitational force. In his other work, he inserted a small compass into the triangular stone. The artist makes visible what we do not notice: Andy Warhol depicted the products of mass culture, while Anselmo showed us the power of gravity and the magnetic field. 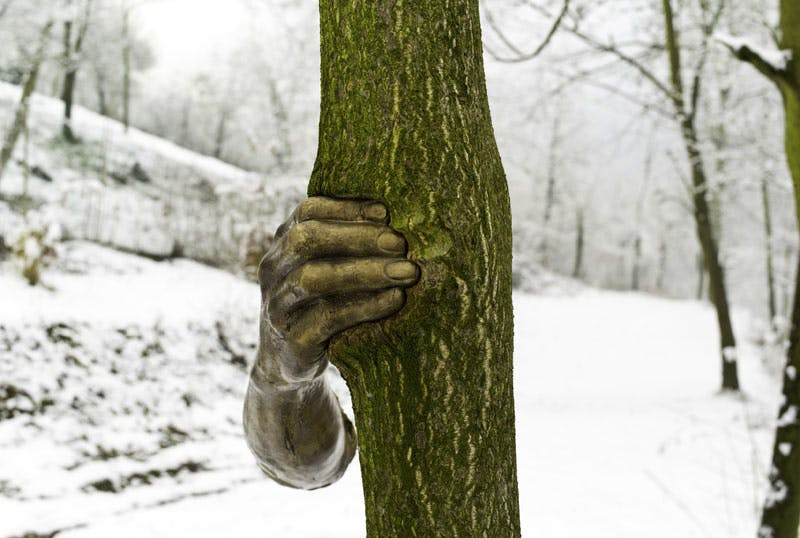 Giuseppe Penone is an artist who carefully explores the relationship between man and nature. He works with natural processes of a biological nature — growth and wilting. In one of his first works, he made a copper copy of his hand and fastened it on a tree in the seaside Alps. A few years later, the tree pushed out his hand, but the imprint of the artist remained on it. 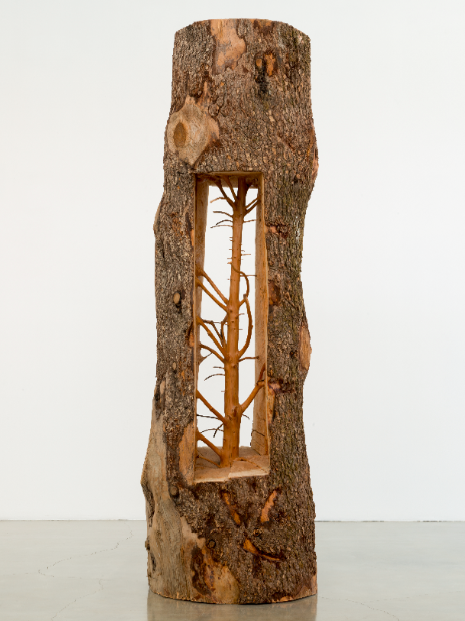 For Penone, the tree was not an inert material, but an active participant in the artistic process. 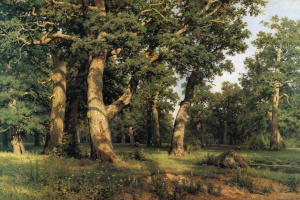 In his other works, he removed layers from wooden building blocks, making the previous state of the tree, its core, visible. This is a return to the past, and a symbolic transformation — the movement from culture to nature through time. 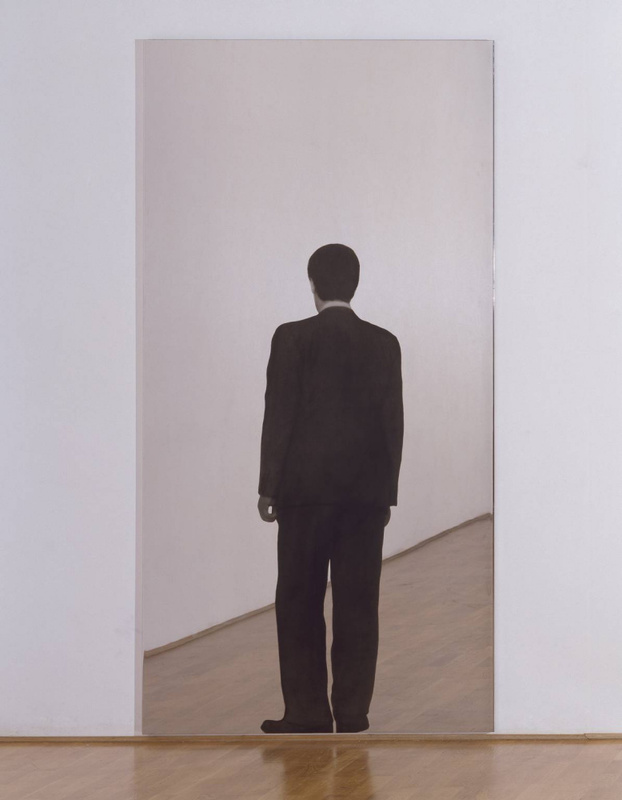 By the mid-1970s, Arte Povera ceased to exist as a single artistic movement. Creativity of artists who were members of this group, was heterogeneous in style and content from the very beginning. Despite a short time of existence and the absence of a clear artistic program, Arte Povera has significantly influenced many contemporary art trends. e.g. conceptualism and land art, the art of performance, installation and sculpture. Innovative artistic techniques, attention to the sensual and ephemeral, the desire to be in the border zone between the concepts and sensations, the natural and man-made — all this makes Arte Povera significant and interesting even today.